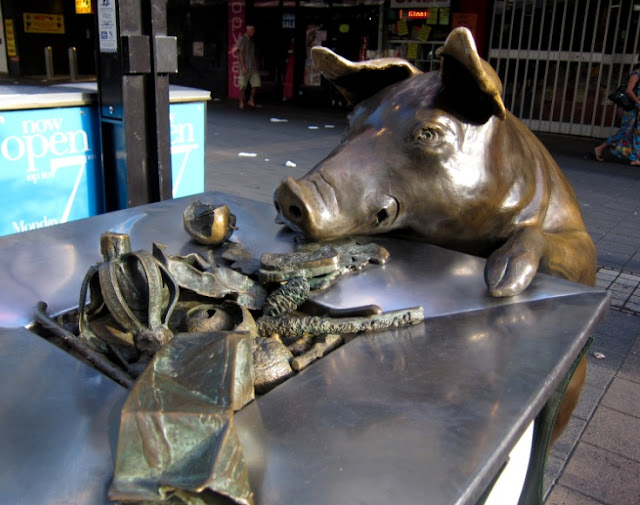 i thought this pig on rundle mall was an appropriate introductory photograph to my eating adventures. 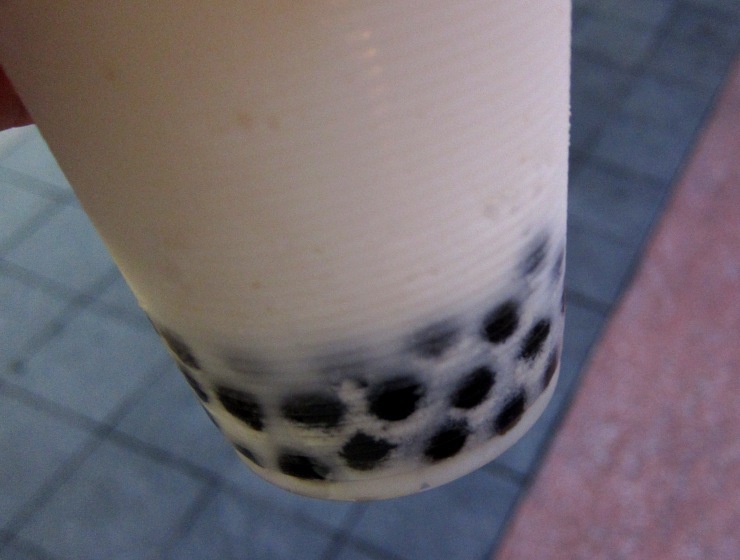 Firstly: bubble tea. I've been to Adelaide once before, but I only really noticed their bubble tea shops this time around. I would credit this sudden awakening of my bubble-tea-super-sense to my relationship with Simon, who absolutely adores bubble tea with tapioca pearls. And not only was the bubble tea in Adelaide cheaper than in Melbourne, but they also come in Calpis/Calpico flavour, which also happens to be one of Simon's favourite drinks. Of course I had to buy it - if only so I could send him a gloating text message about how I was relishing this great discovery. Behold this treasure from Qubic Square on Grote Street! 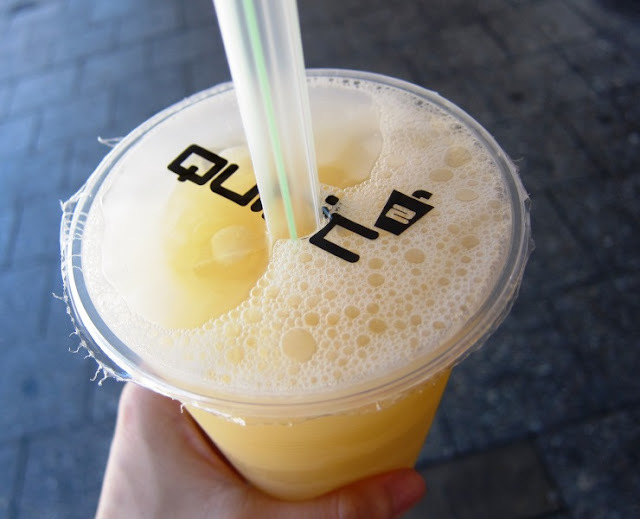 a cold, refreshing calpis-flavoured bubble tea with jelly from qubic square, or qubic 2. On our first day, we all went for yum cha at T-Chow in Chinatown and ordered a table-full of dim sum. 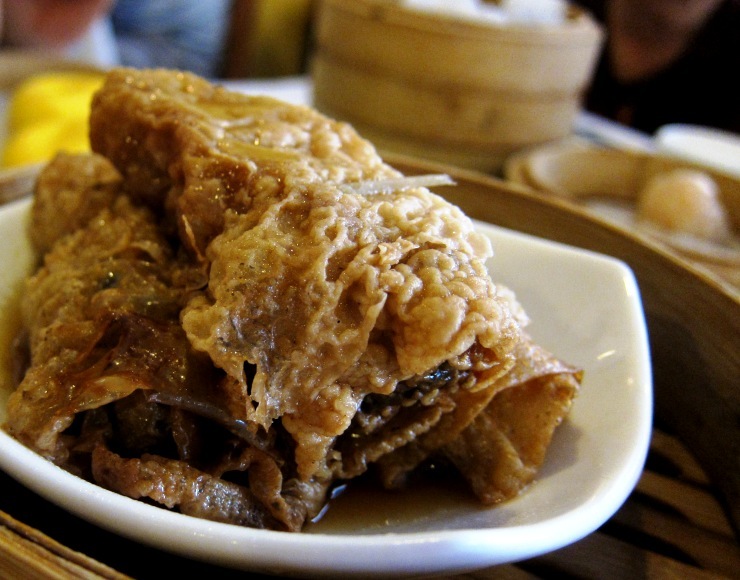 The service was haphazard, and the quality of the food was varied, but we did really like their fried stuffed tofu and their bean curd rolls. 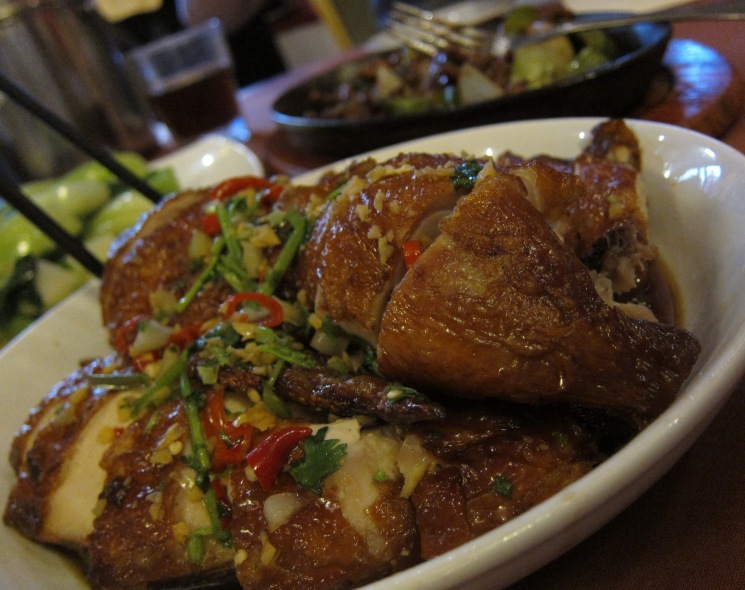 This was followed several hours later with a hearty but not too heavy dinner at Mongkok on Gouger Street, which serves up a very pleasant herbal tea and pretty decent Chinese food. The following night, I caught up with my friend Van who took me to Matsuri on Gouger Street, where we snacked on some edamame before moving on to a massive sushi boat for two. Somehow we still made room for dessert - goma ice cream for him, yokan with green tea for me. 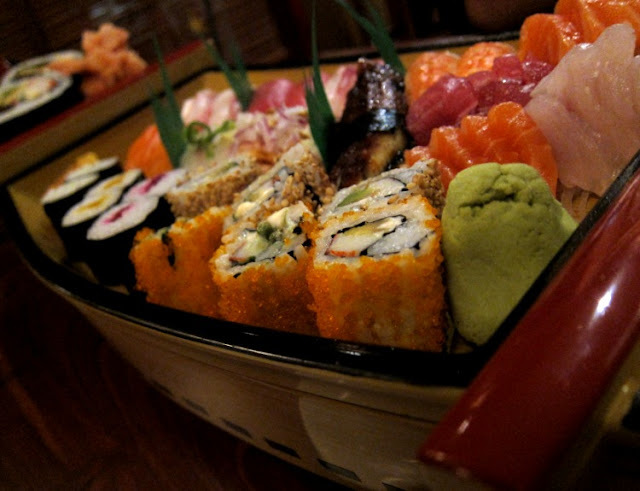 the sushi boat for two at matsuri. The food at Pira Thai on Unley Road, Parkside took awhile to arrive, but their larb barramundi was particularly popular with all of us - can't go wrong with crispy fish topped with spicy sauce and a handful of herbs! 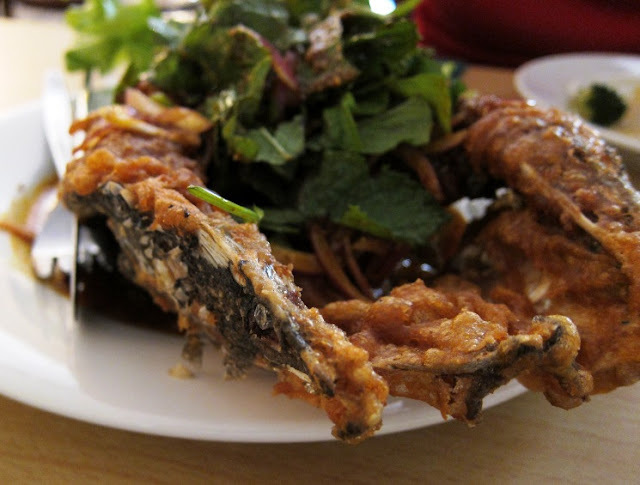 larb barramundi at pira thai. Also, I managed to grab another bubble tea from Qubic the day before we left. I had to do what I had to do, right? iced lychee tea from Qubic's specialities menu. We're all back in Melbourne now and I am looking forward to spending more time with my family - especially with Chinese New Year looming. Oh yes. I'm not sure if I can make time to post over the next few days, so in advance, I'm wishing you all very happy Chinese New Year celebrations. Eat, drink and be merry - I know I will be! Calpis flavored bubble tea? I never had bubble tea or Calpis before! I wonder how it will taste like. I've never been to Adelaide, but I'm really intrigued! EAT and be super merry! I love that everyone takes the same pictures when at Rundle Mall.. it's soooo boring there!!! Michelle, Calpis/Calpico is a bit like Vitagen or Yakult, but milder. You can also get them carbonated. Look out for them next time you're at an Asian grocery store! Okay, first of all, that pig picture is an appropriate way to start anything at all. Seriously. If I wanted to start talking about Arthurian legend and its impact on modern-day English morality, I might start it with that photo. Second, I'm jealous of everything. All of it. Period. 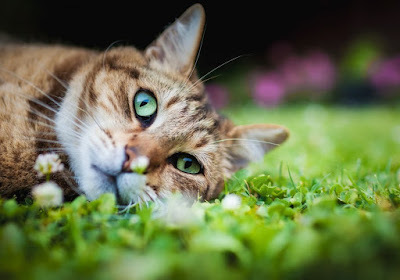 Drooling on all the food pictures. Happy New Year! Rich - wise words, indeed a pig picture can be astonishing in its versatility. Ellie - thank you, Happy New Year to you too! I love bubble tea and Calpis - I think the two together would blow my mind. ;) I've had Yaluki bubble tea in Melbourne before (which rocks) but not many places seem to do it unfortunately. I tried Yaleto flavoured bubble tea in Melbourne recently - it was quite nice but Calpis is still better!